Eric Green started Purpose Financial Advisors in 2005. He has over 25 years of financial management experience. He works with individuals and families helping them address retirement and estate planning needs. He also works with corporate boards & trustees helping them address their fiduciary obligations. Eric is an active member of his community - Rotary 21, Spokane Estate Planning Council, and Inland NW Council on Planned Giving. 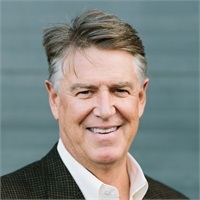 He serves on the board of Union Gospel Mission Foundation and advisory boards for Inland NW Community Foundation, WSU Foundation, and Providence Health Care Foundation. Eric leads a local Kingdom Advisors study group. Eric enjoys golf and flyfishing. He and his wife attend True Hope Church in Spokane.